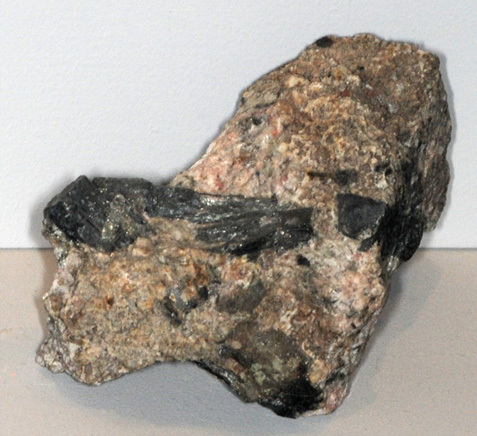 This sample of Warwickite is displayed in the Smithsonian Museum of Natural History. Warwickite is an oxide (borate) mineral of magnesium, iron, titanium and boron with the general composition (Mg,Fe)3Ti(BO3)2O2. The sample at left is about 6x6 cm and is from Edenville, New York. The composition of this particular sample is listed as (Mg,Ti,Fe,Al)2O(BO3).